Zach Jackson’s, with his incredible case law knowledge, managed to get the custody case filed against me dismissed at the first hearing. He saved me from a lengthy and expensive trial, and I kept custody of my son! I am so blessed he represented me. Zach Jackson is a dichotomy. He’s a great compassionate person and beyond a competent, honest, professional attorney. After two other lawyers on my case, I finally found someone who could handle my case and am so fortunate that I did! Zach Jackson is by far one of the best attorney’s in the area. Termination of Parental rights is a difficult situation and he helped us through it with flying colors. We couldn’t have been more pleased with his professionalism and his consideration towards our family. He is invested in your case, returns calls promptly and keeps you updated constantly,. Our family highly recommends him to all our friends in need of legal services. Zach Jackson, one of the finest attorneys I know. He is willing to go the distance to ensure you understand your situation and the best course of action. He explains and takes the time to help you. 5 stars Zach keep up the excellent job. Attorney Zach Jackson epitomizes the type of lawyer you seek when in need of legal counsel and representation. His professionalism, experience, thoroughness and caring nature drew us to him. We will always rely on Zach to handle our legal needs. Zach Jackson is a great person and his work ethic is second to none. Awesome attorney who will listen and get the job done. I met with three attorneys before I met with Mr. Jackson. None of them knew what to do, but two of them suggested that we meet with Mr. Jackson. It did not take long to see why he was so highly recommended. Mr. Jackson put a plan in place at our initial consultation. We followed his advice, and in a short period of time, he got us everything that we wanted. From start to finish, we could not have been more impressed. If you have a complex custody case, you will not regret hiring Mr. Jackson. Zach is a great person and his work ethic is 2nd to none. Awesome attorney who will listen and get the job done. Amazing, Compasionate, Caring, and Knowledgable! Zach Jackson was referred to me by my family with raving reviews. My situation was very unique and I was nervous that I wouldn’t be able to find a lawyer that could help in time, but with Zach, he was efficient, knowledge, and most of all personable and compassionate to my situation!! When I first called Zach’s office, he made himself available that same day for an initial phone consultation. Once we spoke, I knew immediately that this was going to be my attorney. Zach was knowledgeable, professional and personable. He did not rush our meeting, was a good listener and was empathetic. Because I was out of the area, we had to correspond via phone and e-mail, with a three hour time difference. Zach always made himself available. He provided me with his cell phone number and always returned phone calls and e-mails in a timely manner. Throughout my case, Zach was informative, supportive and always took the time to answer my questions and address my concerns. He was proactive and always had a plan for the next step in the process. Zach maintained regular contact and provided continuous updates. He really put me at ease throughout a stressful and uncertain time in my life. Zach explained how he wanted to proceed in my case and, since I had complete trust in him, it resulted in a very favorable outcome for me. I was very blessed to have found Zach in my time of need. He is a man of integrity who is making a difference in the lives of his clients. Zach is honest, ethical and trustworthy. He truly loves his work and is in it for the right reason. Zach Jackson – An Attorney who cares, is extremely knowledgeable, and provides solid guidance/advice. My husband and I hired Zach to represent us on two very difficult, tough and emotional issues. Zach listened, cared and was with us through every heartbreaking step of the process. Zach knows the law and speaks up for his clients, but he is also an honorable man who understands the emotions involved in legal situations. His knowledge of the law and issues is unprecedented. He provided us with all information and thorough explanations to help us to understand all facets of the process and outcomes, which enabled us to make informed decisions. A lot of Attorneys simply deal with the legalities of a situation, but Zach recognizes the “human” side of things too. He approaches each situation with honor and grace, and we were very pleased that he was representing us. Zach is an attorney that you can trust. Without hesitation, my husband and I would and do recommend Zach Jackson. Best Lawyer in union cty!!!!! Having to hire an attorney is a scary process. I had never had to hire an attorney ever nor had I ever been in court. I interviewed 2 other attorneys before meeting with Mr Jackson. He explained everything the good and the bad. Zach jackson listens and for over a year he worked hard on my divorce and child custody case. No one prepares you for the legal system. Nothing friends or relatives tell you is how your case will unfold. Zach is an attorney that cares about his clients best interests. If you listen to his advice and follow his direction I can promise you the best Lawyer in Union county and personally the best Lawyer anywhere. He has the best paralegal too. Working with both of them was easy. They care about their clients and will do everything for you to protect and help you in whatever situation your in. The best thing about Zach is hes honest! He’s not a lawyer that sugar coats. He doesn’t tell you what you want to hear. He tells you what you NEED to hear and prepare for! After consulting with 2 other lawyers, my husband and I made the wisest decision to enlist the legal counsel of Zachary Jackson. Our case was very long and procedurally difficult; yet Mr Jackson proved to be the most competent in every legal aspect of any attorney we could have chosen. He is kind, humble, caring and yet smarter than smart on every legal issue. He leaves no stone unturned in fighting for accuracy of the law. His honesty and integrity were evident in everything we faced. We won our court battle that was at times arduous thanks to Mr Jackson’s tenacity in studying all relevent legal cases so that we had the best of legal counsel. We will always recommend and personally use Mr Jackson for any and all other legal matters. 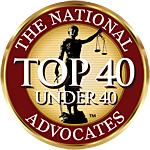 His paralegal assistant’s excellence makes Zachary Jackson Law the best in NC!